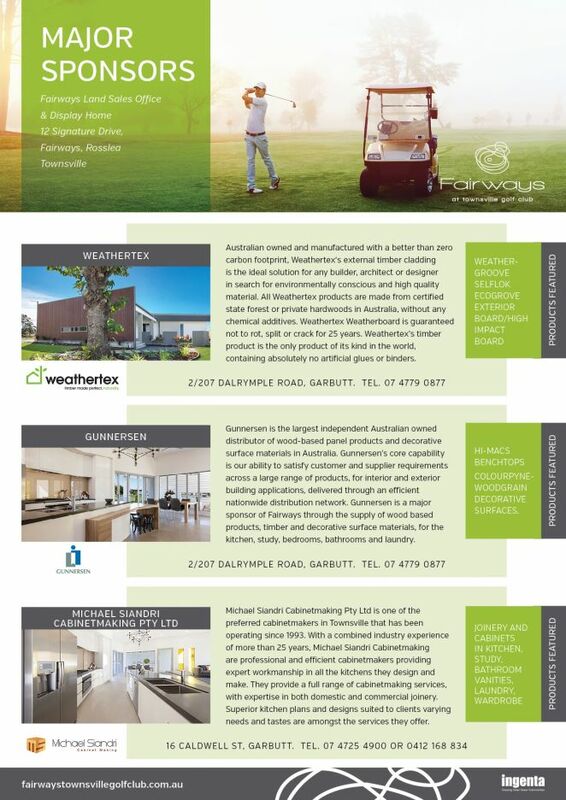 Fairways two award winning Display Homes showcase North Queensland's BEST building practices. Each premium home features a unique array of smart and innovative design elements. Fairways Display Homes are located on 12 Signature Drive, off Quinn Street, Rosslea. Open 7 days, Monday to Friday 10am to 5pm and Weekends 10am to 3pm. 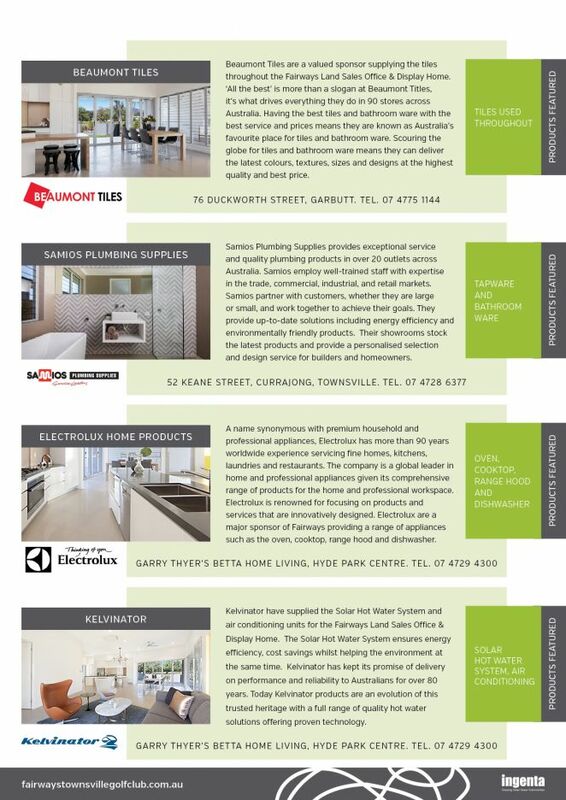 New Home Solutions is an award winning builder based in Townsville. 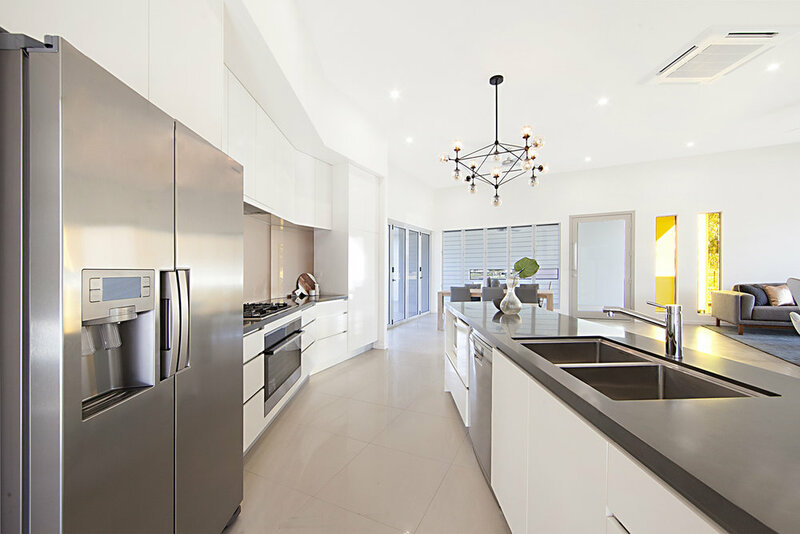 Darryll Gilchrist and the team design and build homes to suit every lifestyle and every budget. Their homes range from only $198,500 through to luxurious multi level dream homes. The team is passionate about ensuring your new home works in harmony with the environment, with a focus on harnessing the natural elements to ensure energy efficient and comfortable living is achieved effectively and affordably. The New Home Solutions team are experienced in designing completely unique homes as well as working from their extensive range of plans. It's your home, you get to choose exactly how you want it. They partner with you to bring your dream to life. Display Home open at 24 Signature Drive, Fairways, Rosslea. The Fairways Land Sales & Display Home forms the gateway to the Fairways Display village precinct. The impressiveness of the home is in its smart design features and use of environmentally sustainable products. The Land Sales Office at Fairways has been designed by Peter Scott from Tippett Schrock Architects, taking advantage of the surrounding golf course environment. This is the first home upon entering the estate and has enhanced street appeal. The entrance is impressive and those entering the home should be immediately taken with the aspects from every direction.